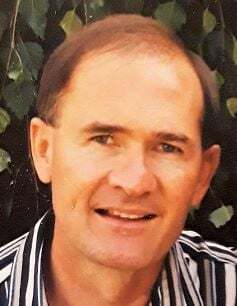 William “Bill” Lynn Pettingill, born April 6, 1951, passed away Sunday morning January 13, 2019 at Saint Luke’s Hospital in Twin Falls Idaho. Born to William Elihu Pettingill and Patricia Ann Felton on April 6, 1951 in Burley, Idaho, Bill was the first of 6 children. As a boy he was very adventurous and loved music. He fell in love with the Guitar, Basketball and Track in High School and excelled in all three. As a young man he served in the North German Mission for the Church of Jesus Christ of Latter Day Saints. While there, he developed a great love for the German people, embracing their language and culture. After his mission he attended Brigham Young University and taught German at the Missionary Training Center. Later in life he authored a family history book “On Interpreting Old German Handwriting”. In 1974 Bill married Judy Hill. To that union, five children were born: Trevor, Tyler, Melinda, Todd and Anne. In 1992 Bill married Teresa Curtis and Will and Dallan were added to the family. Bill enjoyed an early career as a salesman, but later returned to school to get a master’s degree in social work and served the community as a school, family and marriage counselor. He loved his work and the many people whose lives he touched. Bill is survived by his wife Teresa; seven children, Trevor (Rochelle), Tyler (Ashley), Melinda (Darin), Todd (Onjali), Anne (Dan), Will and Dallan; 15 grandchildren; his father William “Bill” Sr.; and sisters Debra Barlow (Brian), Tami Isaacson, Trudie Dymock (Ron), and Paula John. He was preceded in death by his mother Patricia Ann Pettingill and his sister Patrice Griffin (Craig). The funeral will be held at 12 p.m. on Saturday, January 19, 2019 at the Church of Jesus Christ of Latter Day Saints on 723 Hankins Road, Twin Falls, ID. A viewing will be held from 10 to 11:30 a.m. prior to the service. The Interment will be in the Gem Memorial Gardens Cemetery in Burley at 3:30 PM.